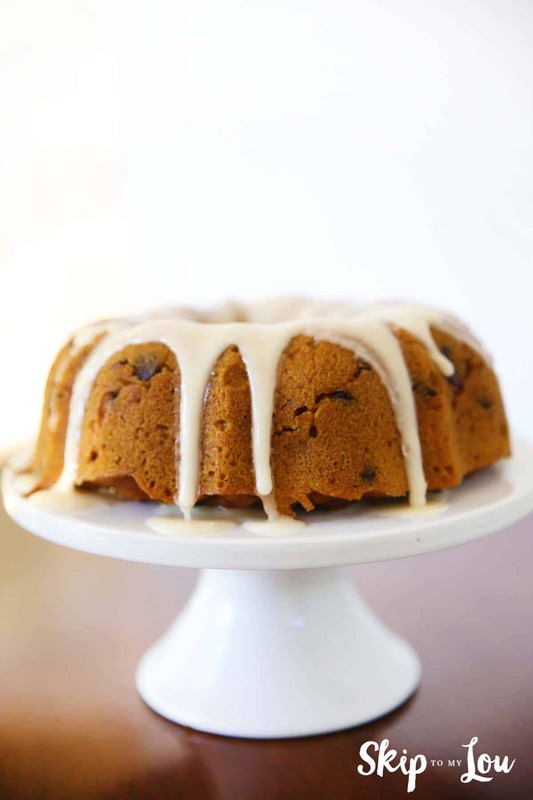 This weekend my friend Laura, brought this delicious Pressure Cooker Pumpkin Chocolate Chip Cake to a pressure cooker class I was having at my store Sweet! It was so good that I went home and made one myself! Can you believe this was made in a pressure cooker. It always amazes me how useful a pressure cooker is. I have the InstantPot and I couldn’t live without it. I use it at least three times a week! Mix together flour, cinnamon, salt, baking soda, and baking powder. In another bowl cream butter and sugar until fluffy with an electric mixer. Add in eggs one at a time mixing well after each addition. Mix in pumpkin and vanilla. Next stir in the dry ingredients, mixing until just combined. Fold in chocolate chips. Spoon batter into 6 cup bundt pan sprayed with non-stick spray. Cover with foil. Place a rack or trivet in the bottom of an electric pressure cooker. Pour 1 1/2 cups of water into the pressure cooker. Make a foil sling to help remove bundt pan from the pressure cooker. Lower the cake into the pressure cooker with the sling. Lock the lid in place. Select High Pressure and set timer for 25 minutes. When beep sounds, use a natural pressure release for 10 minutes and then do a quick pressure release to release any remaining pressure. Carefully remove lid. Use the sling to remove the bundt pan from the pressure cooker. Cool uncovered for 10-15 minutes. Remove from pan. Once cool drizzle with maple glaze. YUM! Take a 26-27 inch length of aluminum foil and fold it in thirds lengthwise. 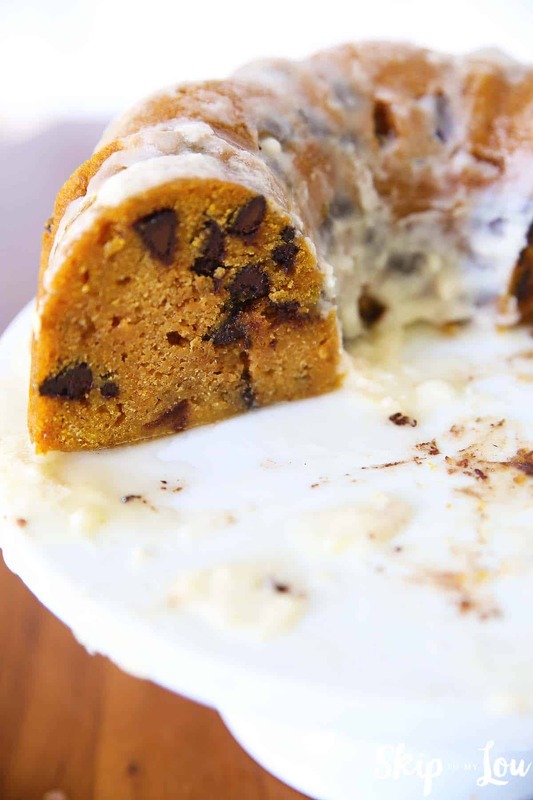 Mix together ingredients and drizzle over the cooled pumpkin chocolate chip cake. I was in a hurry so my cake wasn’t completely cooled so the frosting soaked into the cake. It didn’t matter this cake is so moist and delicious. You won’t be able to stop with one piece! Looking for more pumpkin desserts? Try my pumpkin roll recipe! It is delicious and makes a great make ahead dessert for guests. At 25 minutes, the cake still looked wet on the top. So I cooked it another 5 minutes. I felt there was way too much chocolate (all I could taste was the chocolate) and definitely way too much frosting (could cut in half). I would probably not make this cake again. 6 cup, making the correction. It still says 3 cup. And when I researched the 6 cup it was one with handles. I’m not certain it’d fit in an Instant Pot. Darn! This recipe looks so yummy!